Roof Dimension: 1340mm x 730mm. Please call for deliveries north of Glasgow. 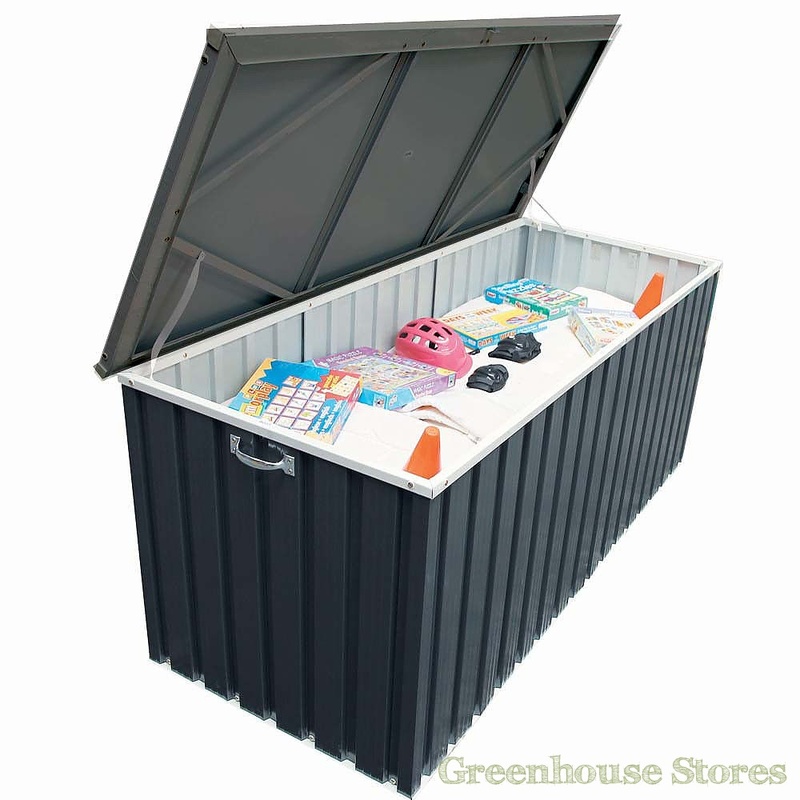 4ft x 2ft Green Metal Storage Box - Solid build quality. 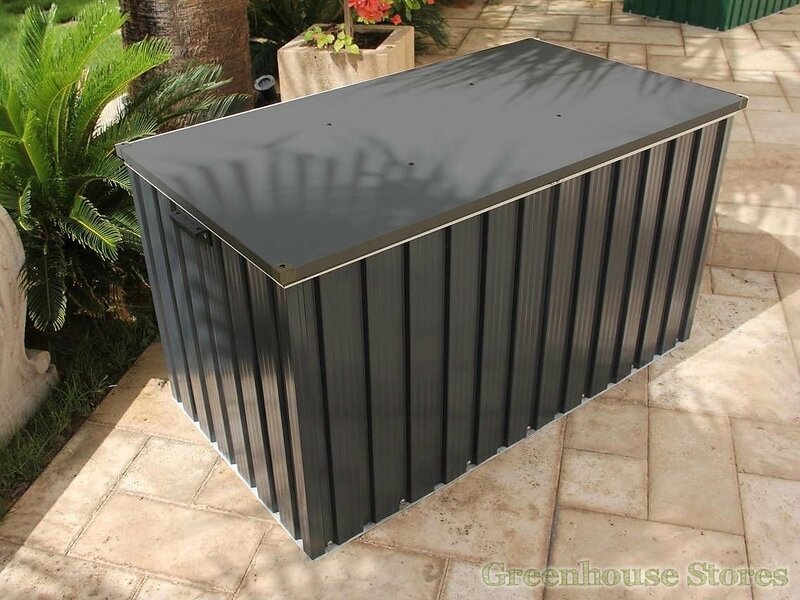 The Emerald 4x2 Anthracite Grey Metal Storage Box is designed to house your garden furniture cushions but it’s just as useful for storing away other garden or DIY stuff like tools and kids play equipment. 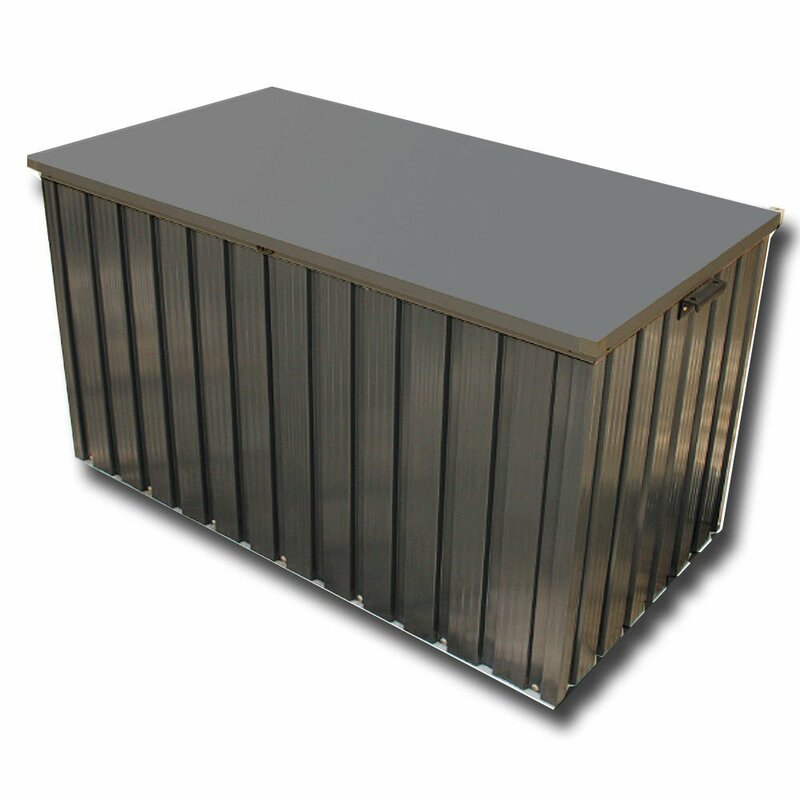 The Emerald 4x2 Storage Box is powder coated in an Anthracite Grey colour that blends nicely into your garden and has a nice white lid which can be comfortably used as a bench for 2 adults. 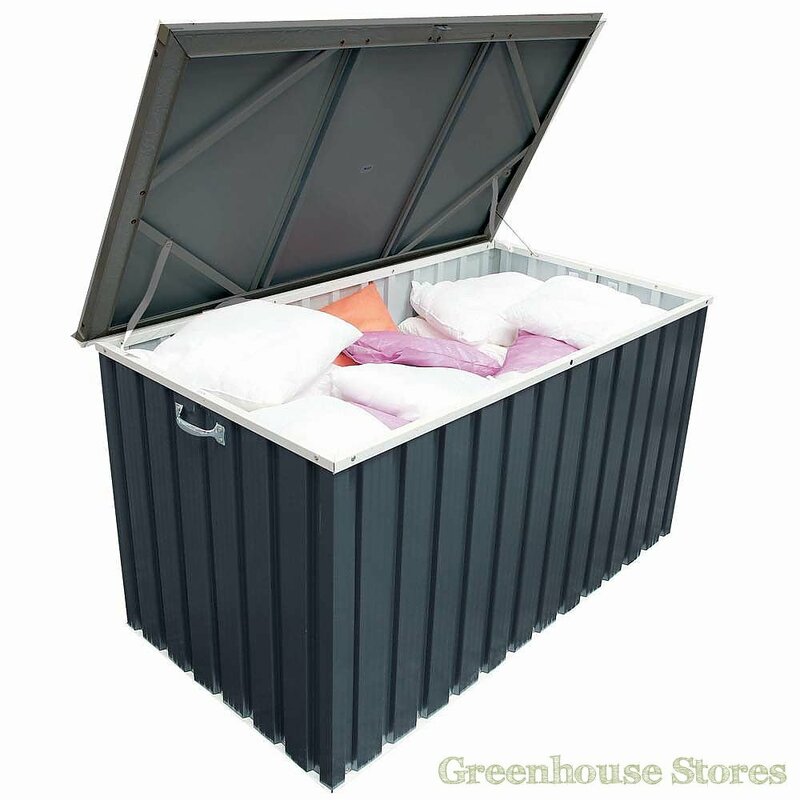 Emerald cushion storage boxes are extremely easy to assemble and can be erected very quickly if you follow the instructions provided. As with all Emerald products, there is an 8 Year Warranty against perforation rot on the Emerald 4x2 Anthracite Grey Metal Storage Box.